EXCLUSIVE! A gorgeous and unique one of a kind property. Beautiful pool deck with all day sun. 3 bedrooms, open living room and floor plan, and a setting that will blow your mind. 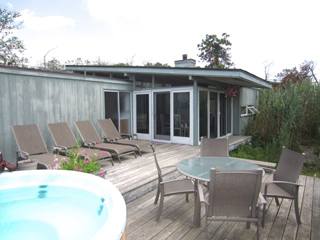 Complete privacy with the national seashore as your back yard. Styled with an eye towards classic FIP. Wonderful house available for weekly rentals. Lovely design. Two beautiful master suites open onto the pool, plus two additional small guest rooms. Stocked kitchen with top of the line appliances. Sunny pool area. 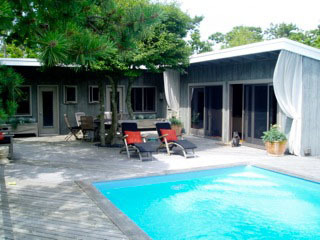 Spend your holiday in one of the sweetest houses in Fire Island Pines. 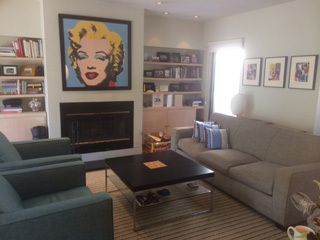 The living room is open and spacious with walls of glass. Bright and cheery kitchen. Open dining room. The master bedroom suite is air-conditioned. Two additional bedrooms share a bath. The outdoor space is sunny and bright complete with hot tub, BBQ and outdoor shower. A beautifully maintained four bedroom and three baths house with spectacular pool area and air conditioning. Its ready to move in. 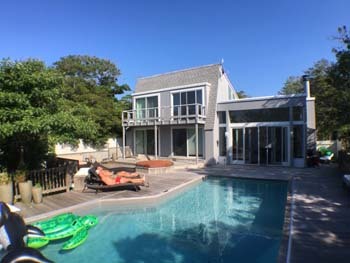 Spacious and sunny pool deck, two out door showers, bright and airy living areas. Newly painted and lots of renovations. 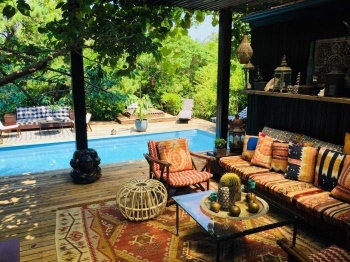 A beautiful owner occupied home that is only available for a select couple of weeks. 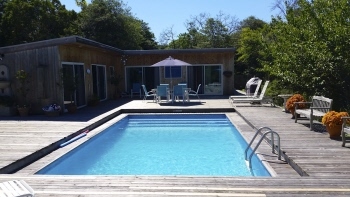 Private setting, solar heated pool, Gorgeous master suite with 3 additional large bedrooms, fantastic outdoor spaces, excellent open kitchen, large open floor plan, and the perfect get away.